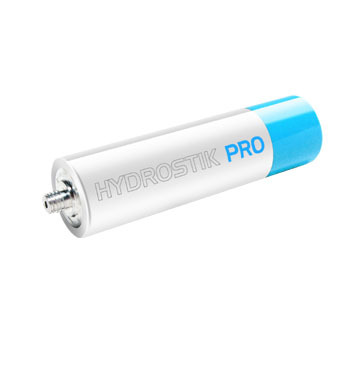 The HydroSTIK-PRO has a battery-like form factor and contains a special metal alloy that allows hydrogen to be stored in a solid-state, as part of the metal alloy matrix inside the cartridge. 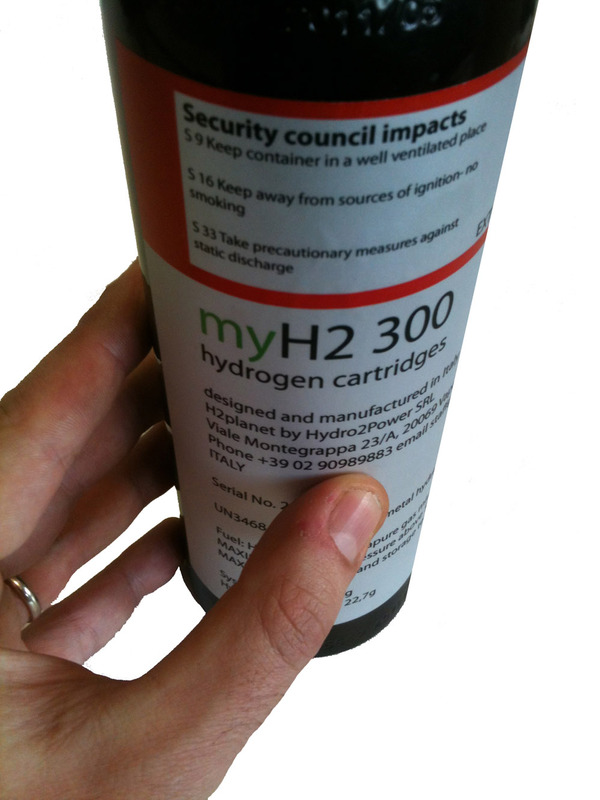 In contrast with ordinary compressed hydrogen tanks, the pressure inside the canister is very low. 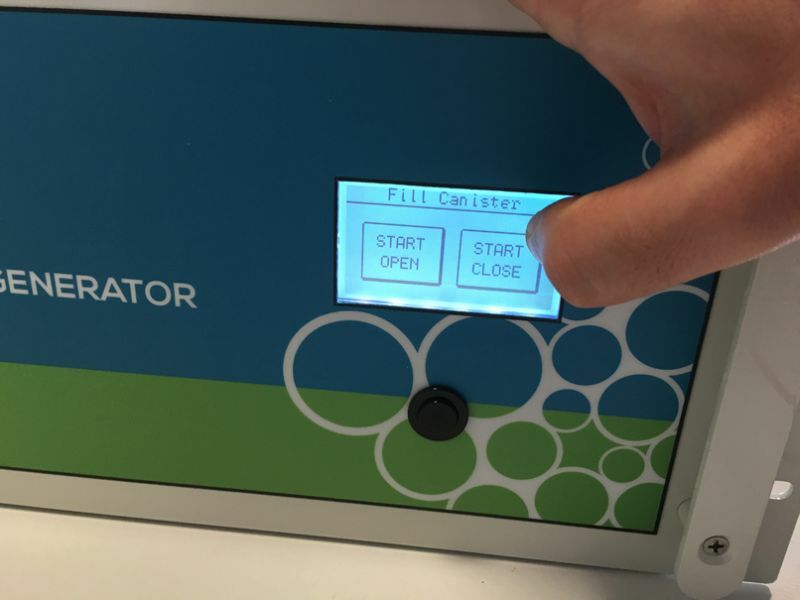 The HydroSTIK-PRO can be refilled with the HydroFILL electrolyser unit. Each HydroSTIK-PRO can store app. 10Wh of energy, enough for 1-2 charges of a 3G smartphone, or 2-3 charges for average cellphones. The HydroSTIK-PRO is recommended for use with H-Cell 2.0, H-12, H-20, H-30 and MiniPAK products. 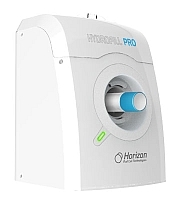 The HydroFILL-PRO is a "world-first" small-scale home hydrogen station that allows users to refill HydroSTIK-PRO cartridges in a simple way, using water and electricity as only input. By adding water, and plugging the HydroFILL-PRO into a electrical wall-socket (or a solar panel), consumers can generate hydrogen and store it in a solid form automatically in HydroSTIK-PRO cartridges. Once full, the battery-like "solid-state"HydroSTIK-PRO can be unplugged from the HydroFILL-PRO and placed into the MiniPak (or other fuel cell devices) to deliver power via a USB port. Metal hydride storage tank with a storage capacity of 300sl hydrogen. 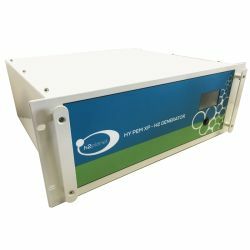 Hydrogen Generator with PEM membrane technology. Splits deionized water in hydrogen and oxygen, no hazardous liquids necessary.